BlueHost review, these two words are enough to tell you what I am going to share with you and why? Choosing a reliable web hosting service is a delicate job. You do not want to waste money on non-reliable hosting. 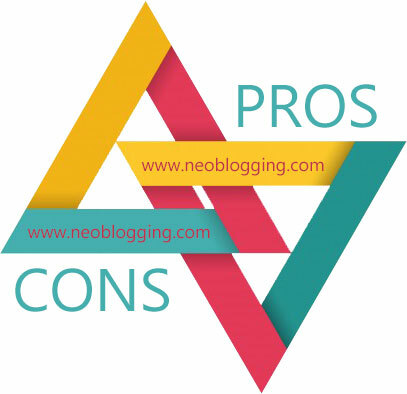 In blogging business you should have to work on choosing a reliable web hosting. Bluehost is one of the most recommended and highly appreciated web hosting service provider. Even, the WordPress itself recommends BlueHost hosting. Bluehost is one of the first names that I heard years back when I started learning about web hosting and its types. BlueHost is well known for it’s hosting plans and 24/7 support. They are the best to launch a WordPress blog or professional website. From small blogs to large businesses all prefer and recommend Bluehost hosting. In this BlueHost review, I will cover everything that will tell you why BlueHost is the brand in the web hosting industry. Price: Every single person wants the answer to this question. You have to pay to buy web hosting, so it is necessary that you should be aware of the plans. Performance: How fast Bluehost hosting is? Is it good enough to load a website faster? Features: Is BlueHost offering all the beneficial features in hosting plans? Reliability: How reliable BlueHost hosting is? What is the uptime/downtime? How is their support system? Support: Is their customer is best or satisfactory? Are they able to solve the issues or not? These are few of the burning questions that you have to ask before buying a web hosting plan from any hosting service provider. My recommendation: I have been blogging for a long time and tested various hosting services. BlueHost hosting review tells you how reliable, competitive, fast, affordable and offer 24/7 efficient customer support it provides. This is the reason why I decided to review BlueHost hosting today. You can also call BlueHost the best WordPress hosting provider. Now without wasting more time, let’s dig the most in-depth details for this BlueHost review. If you are a blogger or webmaster, then you already know what BlueHost is but if you are a layman or new to the online world, then you need to know what BlueHost is? 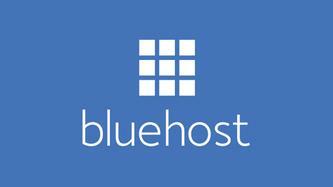 In 2003, Bluehost founded by Danny Ashworth and Matt Heaton in Utah. From the very first day BlueHost has started it’s journey to become the leading web hosting company. BlueHost has crossed the milestone of 2 million. 750+ people are working day and night to help customers. From the last ten years, BlueHost is the most favorite WordPress Hosting provider. In 2006, WordPress officially recommended BlueHost. Now they are in a long-lasting relationship. The best thing about any web hosting is it’s plans and customer support. Bluehost hosting is good at both. BlueHost’s shared hosting plan is perfect for beginners. If you are new to online business or blogging business or want to explore the web world, then Bluehost shared hosting plan is an ideal choice for you. 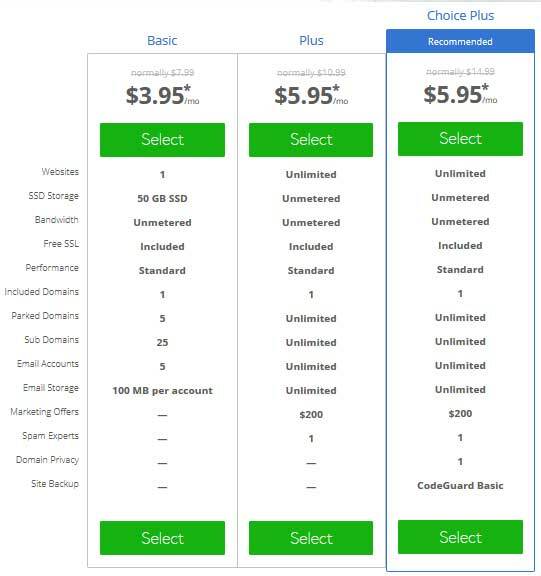 Bluehost Shared hosting offers three different plans from $3.95 to $5.95. BlueHost Cloud Hosting plan is an upgraded version of the shared hosting plan with more features. The best thing is that everything will be on the cloud server. This will make your website more secure and running. 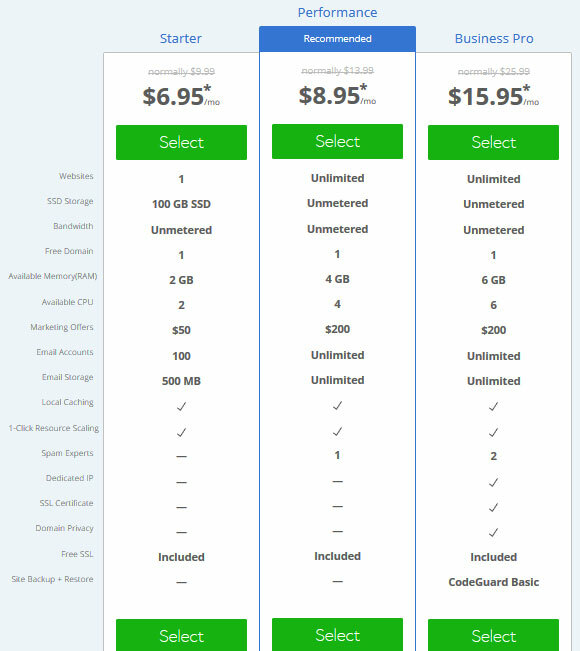 BlueHost cloud hosting plans are available from $6.95/month. Bluehost VPS hosting plan gives you more SSD storage and security. 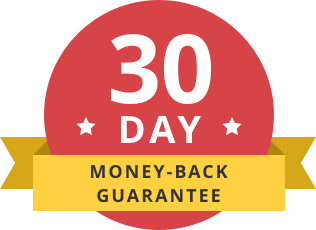 You will also get 30 days money back guarantee. Here you can enjoy the shared resources on virtual dedicated servers. All these plans offer free SSL certificate. Here comes the BlueHost dedicated Hosting plans. These plans are usually purchased the big businesses or websites. But you can also buy this plan as it gives you complete control. In Dedicated hosting plan you will get a dedicated server for your site. This will allow you to access all the resources without sharing with anyone else completely. But, here is a but. In this plan, you have to manage the server by yourself. As the name suggests, WordPress hosting plans are specially designed for WordPress. The custom built servers with 24/7 are supports are always available with these plans. With these plans, you will get a free domain, free SSL and free custom email. Bluehost Optimized WordPress Hosting is simple, secure and fast. It is the optimized version of WordPress hosting. With these plans, you will get extreme speed, and complete security. WooCommerce powers BlueHost ecommerce hosting plans. WooCommerce is one of the most popular eCommerce plugins for WordPress. WooCommerce makes it easy to create and manage an online store. You will get fully customizable online store themes. 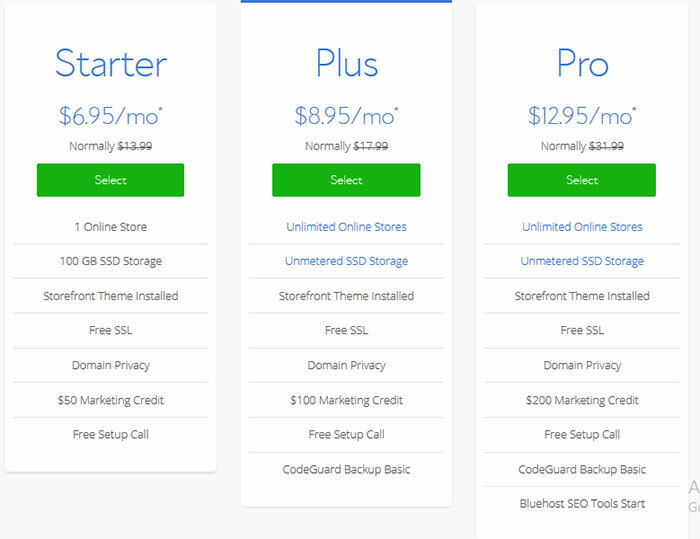 Bluehost also offer you free SSL, domain privacy and free setup call with all these plans. You will even get free domain and marketing credit upto $200. Now you have the clear picture of all the BlueHost WordPress Hosting plans. BlueHost is not just the dominant hosting service provider, but it also offers user-friendly interface. The cPanel is easy to use, and even a non-specialist can understand it within a few minutes. You can very easily install scripts, manage accounts, databases, email addresses, etc. Customer service is one of the most important parts of a web hosting service provider. You never know when you found some errors on your website. At that point in time, responsive customer service will help you fix the issues. When it comes to BlueHost customer service, you will find mixed reviews. Security is must for a website. BlueHost give utmost importance to safety. With hosting plans, you can get anti-spam protection which includes, Apache spam assassins, Spam hammer, and spam experts. Bluehost hosting also keep your inbox secure. All the directories are password protected. You can block the malicious IPS. The SSH feature allows you to access files securely. Bluehost allows you to integrate Cloudflare to speed up your website or blog. Bluehost offers a 30-day risk-free money back guarantee. It means that if you are not satisfied with the service and want to discontinue hosting within first 30 days, then you will get a full refund for the time you have not used it. Bluehost does not refund domain fees. Bluehost hosting review cannot complete without telling the pros and cons of this hosting service provider. Price is higher at some points. 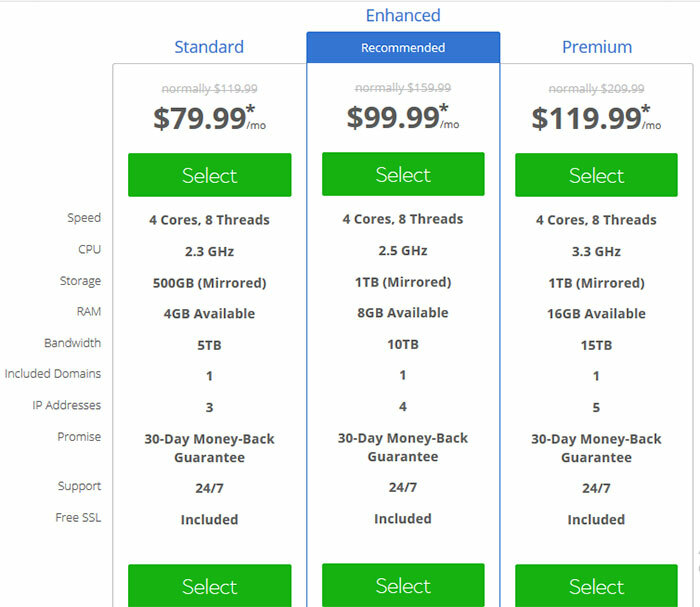 Is Bluehost hosting a good choice for me? Above features are the reasons why WordPress officially recommends BlueHost. Bluehost hosting is one of the best choices for WordPress hosting. In this, BlueHost review I have shared everything that you need to know to launch a professional website or blog on Bluehost hosting. Bluehost hosting plans offer you everything that you can find in eth world’s best web hosting service. Their history and journey as a leading web hosting company show why BlueHost is widespread and most recommended. It is super easy to launch a website or blog on WordPress using Bluehost hosting plans. Do you want to launch a business website or blog on WordPress? If yes, then you should choose the BlueHost WordPress hosting plans. Are you ready to start a blog or website? Go ahead with BlueHost hosting. What do you think about Bluehost hosting review? What have you found interesting in this Bluehost review? Don’t forget to share what you like here on Facebook, Twitter and Google Plus. Bluehost is deifnikt the best web hosting service provider. I have seen many reviews and found your review very detailed. Bluehost is the top web hosting service along with Inmotion and Greengeeks and this is one of the ancient web standards. Their plans are cheaper and standard. Unlimited bandwidth with more bounces offers, their enhanced panel make it easier to configure and control the sites. If anybody is looking for some inexpensive and basic shared hosting then these will be useful for most beginners and dedicated hosting appropriate for large commercial films that are under full control of the resources. Bluehost is an awesome hosting company, and I’ve tried several others in the past. Any issues I’ve had have been resolved quickly and professionally. Keep up the superb service! I applaud the CEO for running such a great company.